This was one of the best collections in all of the Projections programs go see this one. SANTA TESTA AND OTHER STORIES- Docu-fiction is based on a chapter in an unfinished book by Roberto Bolano about killings along the Mexican border has a hypnotic quality. While uneven in some ways the film never fails to grasp you and force you to look at things in a new way. I need to see this film again on it's own and not in the midst of 53 other films in the series. 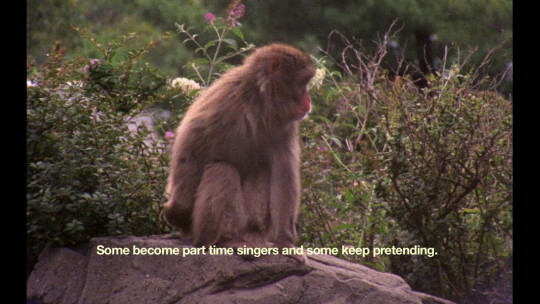 THE EVERYDAY RITUAL OF SOLITUDE HATCHING MONKEYS- very cool film about a man afraid of water who moves... and well its a story told through subtitles over seeming random images which take on new meaning with the words. Awesome just completely awesome. One of the best films in the whole Projections and probably all of this year's NYFF. The collection screens once on October 4. For tickets and more information go here.